To AirPod or not to AirPod? Which true wireless earphones should you buy? Are the latest Airpods a great buy? That”s the question on everyone’s minds now that Apple’s at last announced an update to the Internet-breaking Gen 1 Airpods. The infamous white stalks really took off after the initial vitriol and mirth. They’re back better than ever – but with that same price tag that could, and should, give prospective buyers pause. That pause right there is the perfect time to consider the best options on the table. Like it or not, the Airpods are the most recognisable tech accessory right now. And that’s the only value proposition it needs to have. If ‘standing out’ and ‘status symbol’ are words that matter to you, write off the other options and order yours now. That isn’t to say the ‘Pods are all style and no substance. It’s one of the lightest options on the market, and with the second iteration, they’ve finally caught up with the competition somewhat with regards to battery life (from 2 hours talk time to 3). There’s also the option of a wirelessly-charged case, which admittedly holds a great amount of juice relative to other offerings out there. In most other aspects, though, the new Airpods are almost indistinguishable from the first-gen ones. They’re not “Airpods 2”. They’re not Airpods S or XS. The price hasn’t changed. They look exactly the same as the first-gen ones – but that’s turned out to be a good thing, right? The sound quality’s only just passable for non-audiophiles, and the relic open-ear design means you can’t really shut noises out. But as with all things Apple, there’s a third-party solution for that. Also, if you want to plop your entire unit down on your Qi-compatible wireless charging pad, be prepared to cough up the extra. One of the kingpins of earpieces, and for good reason: Jabra’s been doing wireless since mobile phones became a thing. And boy have they pushed the envelope on these buds. This Elite Active version is the brand’s most advanced offering in Q1 2019, wipes the floor with the competition when it comes to functions. 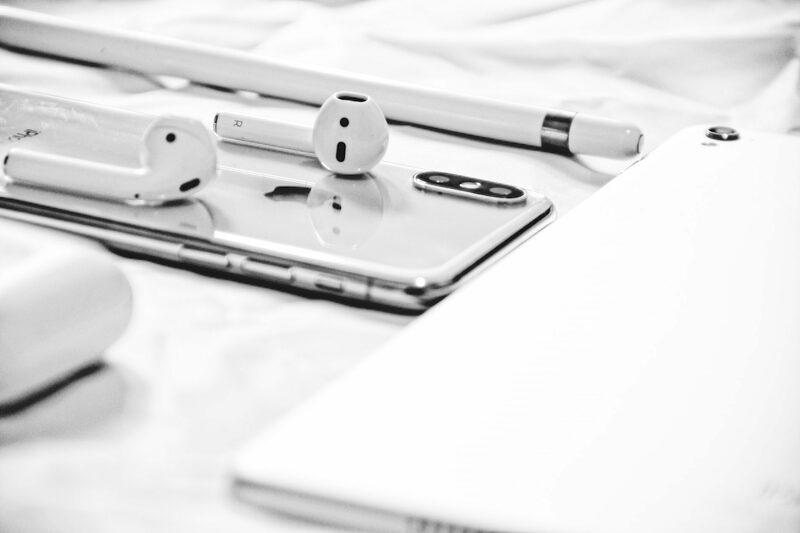 Instead of an open-ear design like the Airpods, which lets sound in all the time, or forcing you to block out all sound with the in-ear format, you can actually toggle “HearThrough” – which electronically passes ambient sound to your ears via the onboard microphones . This means you never have to unplug to hear what your colleague has to say, or deliberately leave one bud out just so you can be aware of your surroundings when you run. Oh, speaking of running, there’s an accelerometer in the tiny things, allowing you to track your pacing and progress. You can customise equaliser settings so you get different sound for each app – speech up in Netflix, bass up in Spotify, some middle ground for YouTube – your call. They Elite Active variant is about 25% more expensive than Airpods (without wireless charging). Bet you didn’t think that was possible, huh? You could opt for the non-sport version, which brings it in line with the Airpods. If you wanted to flaunt them, too bad. They’re the polar opposite of the Airpods in that they’re pretty inconspicuous. No one may realised you’re even plugged in. That case isn’t winning any design awards soon, either. Sennheiser’s one of the brands you associate with sound excellence and clean, technical design. They’re not known for being late to market. But the Momentum True Wireless took forever to develop, hitting markets only at the tail end of 2018. What exactly was the brand doing? Perfecting the audio delivery, it seems. The Airpods may be flashier and the flagship Jabra versatile, but Sennheiser’s mini-cans pump out lush, timbre-filled notes that you’d never expect from a device the size of a pinky nail. 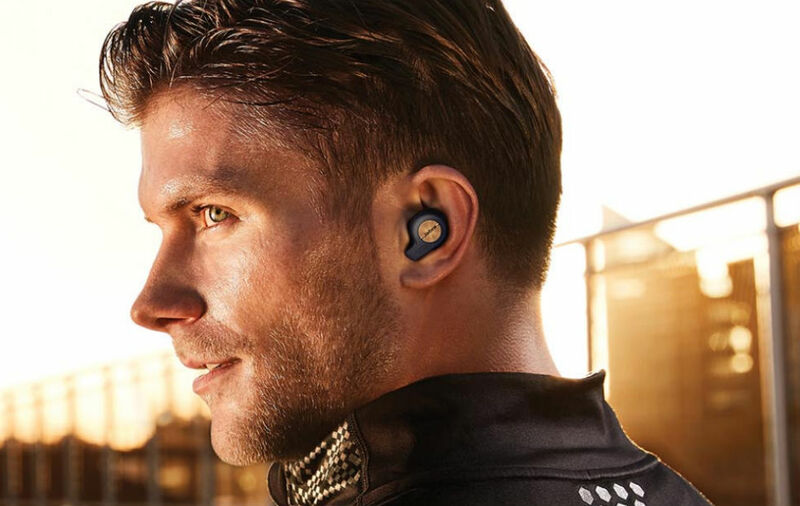 It’s got the same audio pass-through function as the Jabra Elite Active has as well. The cloth-wrapped case itself is pretty plush – easily the best-looking of the lot, we reckon. The discrete buds themselves sport the trademark silvered disc emblazoned with the Sennheiser logo. Sadly, these miss the boat on a bunch of software options which can hopefully be resolved via software updates. You can’t pair them to multiple devices at a time either -a major bugbear when we have at least 2 Blue-tooth capable gadgets in our lives. Oh come on, that’s a little blatant. Anyone who’s done a bit of techie shopping on Amazon will be familiar with Anker. The brand’s claim to fame: their standout power banks, which were reliable, durable and pocket-friendly. They’ve brought the same values to their audio products. The Soundcore Liberty Air resemble Airpods in shape and function, and even deliver similar sound quality. They also happen to be half the price of the ‘Pods. These come with large in-ear fittings to lock the bud in place. Not everyone digs this though. Also, you know you’re going to deal with people finding out “they aren’t Airpods” – as if any deception was meant in the first place. COVER IMAGE: User Eleven X on Unsplash.